Learn how to optimize the customer experience by making changes from the Admin. Miva Merchant makes it possible for customers to have credit balances on their customer account in your store. Customer Credit appears as a payment option at checkout, allowing customers to apply their credit balance toward a purchase. Order Notes allows you to add notes to an order to help manage and keep track of an order's status. This video shows you how to get the most of this feature available in Miva Merchant 9.4 and higher. Need to help a customer add products to their basket? You can remotely share their basket session via the Shop As Customer feature. Availability Groups allows you to limit which customers are able to see specific items in your Miva Merchant store. This video shows you how to get started with an affiliates program in your Miva Merchant store. This video explores the Gift Certificate functionality in Miva Merchant. 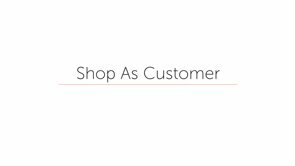 Gift Certificates can be purchased by customers which generates a Gift Certificate Code, which can be redeemed at your Miva Merchant store for Customer Credit. Miva Merchant 9.4 introduces Wish List support. 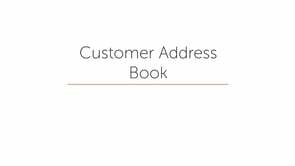 Wish Lists are bound to customer accounts. This video showcases how customers can use and manage Wish Lists in your Miva Merchant store. In Miva Merchant 9.4 and later, you are able to organize multiple related customers accounts into a single business account record. You can add notes to business accounts and even assign Price Group savings to them. This video shows you how. This video talks about what Mivapay can do, and how to set it up in your store. In this video we look at Mivapay's ability to configure subscription type products and charge recurring billing with your Miva Merchant Online store. Its often good practice to offer subscription options that save customers money over just buying one off purchases. This video walks you through to process of doing just that. Watch this video to learn how to manage the subscriptions that come into your Miva Merchant store. The subscription functionality comes with a collection of new Email Notification options. We take a look at what they're for, and where to find them. Braintree is a built in module that can be installed in your Miva Merchant store. With Braintree’s usage of iframes, payments are handled without sensitive credit card information ever having to touch your online store’s webpages. Do you take orders over the phone? Miva Merchant allows you to create orders on the customer's behalf right from inside the Miva Merchant admin.